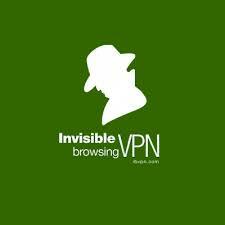 ibVPN has just released a new VPN app for Android devices. This new version has some powerful applications and settings. IPv6 is also now available to ibVPN users. IPv4 is maxed out, and IPv6 has more benefits, so ibVPN has upgraded. As a top VPN, they want to give their users the bet that they can. The best part of the new ibVPN Android app is that it can now be used to circumvent censorship in China, Iran, and other countries with tough restrictions. This is a great development for users in a world where Internet censorship is becoming more and more popular. And ibVPN is giving out 3 months free to 10 users in China who want to join the testing program. TCP and UDP protocols are now supported by a port range of 55000 to 65000. Users also reported connection problems with the ibVPN Android app. This new version solves those problems. The app also offers more developed configuration options with a new interface for the settings. This allows users to adjust how they want to connect to ibVPN servers. ISPs are slowly adopting IPv6 because IPv4 has reached its limit. And ibVPN is upgrading as well. IPv6 has a much better capacity for IP addresses, and uses 128-bit as opposed to the 32-bit addresses of IPv4. IPv6 is also more secure than IPv4 because identifying and host scanning are more difficult. To access the benefits of IPv6, ibVPN users can connect to the five upgraded servers. These are the Germany de2.ibvpn.com server, the France fr2.ibvpn.com server, and the Netherlands nl1.ibvpn.com, nl2.ibvpn.com, and nl3.ibvpn.com servers. To connect, they need the All-in-One package for Windows and Mac on OpenVPN.